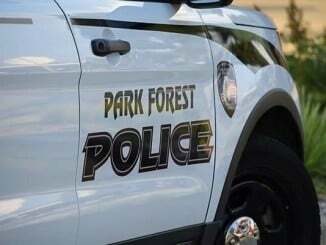 Park Forest, IL-(ENEWSPF)- Editor’s Note: These Park Forest Police blotter reports cover arrest incidents through July 4, 2018. These reports also include mention of instances from previous reports where there were arrests, but investigations are ongoing. Some of these investigations can take months, even a year or more. One incident in this batch of reports demonstrates that where a detective makes an arrest in a case he was investigating for over a year. That case resulted in a charge of aggravated identity theft, a felony. Police responded to the first block of Marquette Place at 2:09 AM in reference to a report of domestic battery. There was an arrest, but charges are pending as this incident is still under investigation, according to police. Police were dispatched to the 3500 block of Western Avenue on June 21 at 3:36 PM regarding a report of domestic battery. Numerous Park Forest officers and officers from surrounding agencies responded to the area to assist, according to police. There was an arrest, but charges are pending the investigation, which is still in progress, according to police. Police were dispatched to the 200 block of Arcadia Street on June 25 at 4:54 PM to investigate a report of a man who was shot at by a woman. There was an arrest. Charges are pending the outcome of the investigation which has been turned over to the detective division, according to police. Miles E. Copeland, 31, 3360 Heather Dr., Markham, was arrested on June 27 and charged with aggravated identity theft regarding a warrant charge out of Cook County and charged with identity theft regarding a warrant out of Will County, according to police. This arrest happened as a result of an ongoing investigation led by Park Forest Police Detective Alex Bregin that originated in February 2017. As a result of the ongoing investigation, Detective Bregin sought a Grand Jury subpoena to the Hollywood Casino in June 2018. The detective was investigating that the alleged victim’s credit card account was used at Hollywood Casino, 777 Hollywood Blvd., Joliet. The investigation took on new life after Detective Bregin reviewed recorded phone calls from Wells Fargo in reference to the alleged victim’s credit card account. The detective reviewed the recordings and “immediately recognized Miles Copeland’s voice as the caller from a prior police contact,” according to the report. In the recording, Mr. Copeland allegedly purported to be the alleged victim and provided the alleged victim’s personal information to confirm his identity, according to police. Mr. Copeland allegedly requested a credit line increase in a subsequent call and a personal loan for $10,000 in another call, according to police. The detective met with a Will County assistant states attorney on June 26, 2018. The ASA prepared a complaint and arrest warrant charging Mr. Copeland with identity theft, according to police. The warrant was entered into LEADS. On June 27, Detective Bregin was notified that the Kendall County Sheriff’s Office had Mr. Copeland in custody. 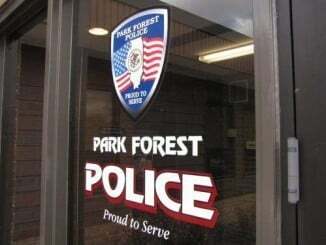 Antonio D. Hall, 26, 246 Blackhawk Dr., Park Forest, was arrested on June 26 and issued a municipal citation charging possession of drug paraphernalia with a hearing date of July 18 at the Park Forest Police Department. Subsequently, the arresting officer processed Mr. Hall on an Illinois Department of Corrections warrant and also charged Mr. Hall with obstructing identification, according to police. An officer was stopped at the four-way intersection of Lakewood Boulevard and Westwood Drive when he saw a man walking southbound on the sidewalk of Westwood Drive. The officer recognized the man as Antonio D. Hall who “was known by officers to have an outstanding Cook County warrant,” according to police. Two officers called Mr. Hall by his name, “Antonio Hall.” According to police, Mr. Hall allegedly declined and stated, “You have the wrong person.” Mr. Hall allegedly stated that his name was “Percy,” according to police. Police took Mr. Hall into custody. When police searched him they discovered a silver metal grinder that had a green leafy material, suspect cannabis, inside the grinder, according to police. Montee Fort, 45, 7112 Constance Ave. #2B, Chicago, was arrested on June 28 and issued traffic citations charging improper lane usage, failure to signal when required, driving under the influence of alcohol, and driving under the influence of alcohol with a BAC greater than .08, according to police. An officer took notice when he saw a vehicle traveling westbound on Sauk Trail from Lester Road with another vehicle following behind the first vehicle. The vehicle following the first vehicle repeatedly sounded its horn. This was at 12:35 AM, according to the report. While turning southbound on two S. Orchard Drive from Sauk Trail, the vehicle following the first vehicle continued to sound its horn in what appeared to be a possible road rage incident between the two vehicles, according to police. The officer activated the emergency lighting on his patrol vehicle and immediately curbed the first vehicle in the 300 block of South Orchard Drive. The second vehicle continued slowly south and turned into a driveway, failing to signal such a turn, according to police. The officer spoke with the driver of the second vehicle who stated that she was following the driver of the first vehicle because “He had a couple of drinks. I was just trying to help him get home.” The officer immediately walked up the driveway of the residence and observed the driver of the first vehicle, later identified as Montee Fort, exited from the driver’s seat of the vehicle. When asked, Mr. Fort initially denied consuming any alcoholic beverages prior to driving. While speaking with Mr. Fort, the officer noted that forts speech was heavily slurred and his eyes appeared to be bloodshot and glassy, according to police. The officer instructed Mr. Fort to go to the front of the squad vehicle and requested that he submit to a Standardized Field Sobriety Tests, to which he complied. After the field testing was completed, an officer informed Mr. Fort that he was under arrest on suspicion of driving under the influence of alcohol. Mr. Fort’s vehicle was towed from the scene. Mr. Fort later submitted a breath sample yielding a BAC of .122, according to police. Shannon K. Thomas, 38, 70 Water St., Park Forest, was arrested on June 28 and charged with one count of domestic battery, one count of interfering with the reporting of domestic violence, one count of resisting arrest, and two counts of battery against police officers, all misdemeanors. Police responded to the first block of Water Street on June 28 at 3:27 AM to investigate a report of a domestic disturbance. Upon arrival, an officer observed a man exit from the residence and walk towards the driveway. The man noticed the officer approaching the residence and turned around and walked back into the residence and locked the door, according to police. This man was later identified as Shannon K. Thomas, according to police. The two responding officers could hear Mr. Thomas inside the house talking to the complainant, allegedly refusing to allow her to unlock the door for the officers, according to police. Another officer arrived on the scene and police made “multiple demands” for Mr. Thomas to open the door, according to police. Mr. Thomas allegedly told officers that he would not open the door and that everything was okay inside the residence, according to police. Police eventually forced entry into the residence by kicking open the front door. Police immediately detained Mr. Thomas who allegedly tensed his arms and refused to place them behind his back so officers had to grab his arms, placing them behind his back, according to police. One of those officers was able to successfully place handcuffs on Mr. Thomas, according to police. While conducting a search of Mr. Thomas’s person, Mr. Thomas lifted his left elbow and allegedly swung his elbow in an aggressive manner at one of the officers, striking the officer in his left arm and chest area, according to police. Mr. Thomas then allegedly tried to pull away from the officers, so the officers grabbed Mr. Thomas and he subsequently fell to the ground, according to police. This caused two of the officers the fall with Mr. Thomas, causing both officers to strike their knees against the ground, causing redness and pain, according to police. Afterward, officers assisted Mr. Thomas to his feet and escorted him to a squad vehicle. Police spoke with the complainant who said that she and Mr. Thomas got into a verbal argument regarding relationship issues. The argument became physical when Mr. Thomas allegedly began to physically grab her, according to police. Jesse J. Alvarez, 28, 1425 N. Oakmont Rd., Hoffman Estates, and José M. Velazques, 25, 4937 S. Kildare Ave., Chicago, were arrested on June 30 and each charged with one count each of misdemeanor criminal damage to property after police were dispatched to the 400 block of Westgate Drive in reference to a report of a disturbance. SouthCom Dispatch advised police that two men were allegedly breaking a window in the 400 block of Westgate Drive with crowbars, according to police. Police searched the surrounding area and located two men matching the description of the alleged offenders. The suspects were identified as Jesse Alvarez and José Velazques, according to the report. The complainant told police that he was upstairs with his son watching television when the electricity suddenly went out in his entire home. That’s when he noticed the two men at the window of the residence. He stated that the men had a crowbar and were allegedly trying to break into the residence, according to police. The complainant told police that he noticed that a detached garage door had been broken into. Police checked the residence and observed that the electrical meter had been removed from the residence and was later located by officers on the floor inside the detached garage. Officers observed that the back door to the residence had been damaged by the crowbar that was used to pry the door open, according to police. One of the window screens of the residence was ripped, according to police. Police observed that the door to the detached garage was kicked in, according to the report. Alea M. Wiltz, 28, 18803 Morgan St., Homewood, was arrested and charged with misdemeanor domestic battery when police were dispatched to the 300 block of Niagara Street at 12:17 AM to investigate a report of a domestic battery. Upon arrival, officers knocked at the front door of the residence and could hear several people talking inside, according to police. Eventually, a man yelled, “Who is it?” and was advised that police were outside. The man stated, “We don’t need no police here,” according to the report. Officers advised the man that someone inside had notified the Police Department and that officers needed to check on everyone’s well-being. Eventually, officers gained entry to the residence. A man stated that he had engaged in a verbal dispute with Alea M. Wiltz. The man stated that Ms. Wiltz had been drinking alcohol for the last several hours and allegedly began picking fights with everyone inside the residence, according to police. During the dispute, Ms. Wiltz allegedly armed herself with a small kitchen knife and allegedly swung the knife at someone, causing multiple minor skin abrasions to the left wrist area, according to police. After being cut, the alleged victim notified the Park Forest Police Department to report the incident, according to police. Donnie D. Woods Sr., 44, 451 Tomahawk St., Park Forest, was arrested on July 1 and charged with two felony counts of aggravated domestic battery after police were dispatched to the 400 block of Tomahawk Street to investigate a report of a domestic battery. When police arrived, they noticed that Mr. Woods had a laceration on his left arm. Park Forest Paramedics were summoned to the scene. Mr. Woods related that a family member stabbed him with a pair of scissors, according to police. This incident appears to have begun because one of Mr. Woods’ children wanted to use his car. Mr. Woods went outside to cool off and then began to argue with an alleged female victim, according to police. Mr. Woods approached the alleged female victim and allegedly put both of his hands around her neck, according to police. In another instance, Mr. Woods retrieved a fork and allegedly stabbed another family member in the left hand, left forearm, and right forearm, according to police. Someone was able to get Mr. Woods off of the alleged female victim and get him to calm down a bit, taking him outside. 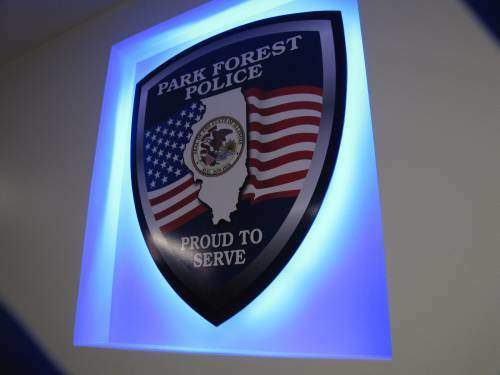 At the Park Forest Police Department, an officer reviewed Mr. Woods’ history and learned that Mr. Woods had a prior conviction for domestic battery out of Cook County. The case number for that conviction is in the report. The officer contacted the Will County Felony Review, apprised an assistant state’s attorney of the case, and the ASA approved two counts of aggravated domestic battery against Mr. Woods. Jetaun I. Wilson, 39, 190 Washington St., Park Forest, was arrested on July 4 and charged with one count of battery and one count of obstructing a peace officer after police were dispatched at 3:02 AM to the 100 block of Washington Street in reference to a noise complaint. Upon arrival, the responding officer observed several juveniles in the area who immediately began to leave the area when officers arrived. The responding officer observed a teenager the officer knew to exit a vehicle and begin to walk away from the vehicle. The officer inquired about the fresh smell of cannabis emanating from inside the vehicle. The officer advised that the teen was going to be patted down. While attempting to pat down the teen, the teen attempted to pull away from the officers. The teen was placed into custody on one count of obstructing a peace officer and one count of resisting a peace officer, according to police. While officers attempted to control several other juveniles, the responding officer noticed another teen outside a residence who was subsequently taken into custody regarding a separate incident, a robbery investigation. During this time, an officer placed Jetaun I . Wilson under arrest on suspicion of obstructing a peace officer and battery. Mr. Wilson received a court date of July 24 at the Markham Courthouse.